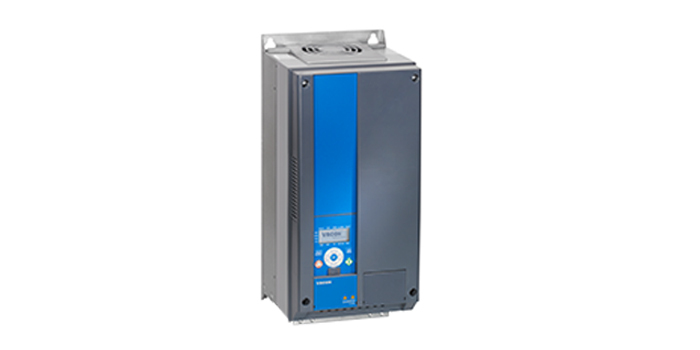 Although extremely compact in size, the VACON® 20 is packed with functionality to help improve system performance and cost efficiency. Fast installation and set-up are possible due to easy-access terminals, integral DIN rail mounting and the parameter copying tool which can clone settings without needing mains power. The parameter list can be freely modified and application-specific parameter sets and default settings can be created. PLC functionality means individual control logic can be built into the drive and unused I/O options can be used for other machine-related tasks. The built-in RS-485 interface provides a cost-effective and simple serial-control interface for the drive. With optional modules, VACON 20 can be connected to almost any fieldbus system based on RS-485 or Ethernet, including Profibus DP, CANOpen, DeviceNet, Profinet I/O, EtherCAT, Modbus TCP/IP and Ethernet IP. Available in all common voltages and in a wide power range, VACON 20 optimizes the performance of, for example, vertical-movement, packaging, material-handling and flow-control applications in various process industries around the globe. Conveyors, extruders and packaging machines, textile winders, processing and washing machines, fans and pumps. © 2017 Drivetech.gr. All rights reserved.